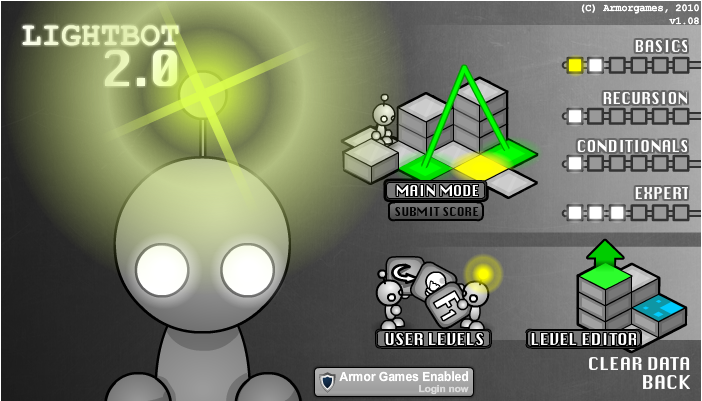 Help Lightbot light up the squares in this problem solving game. If you’re thinking about getting into programming this is a great pre-step. Before you even start tools for beginners, such as Scratch, try Lightbot.